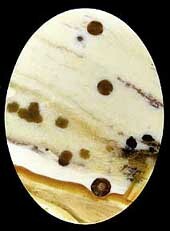 Polka Dot Jasper has nice transluscent background with contrasting golden, brown and black polka dots. 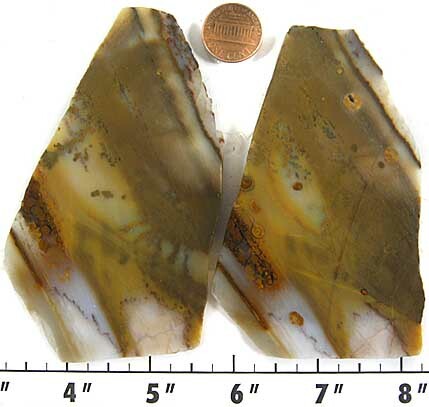 Polka Dot Jasper is what is referred to as a jasp-agate and is often called, not incorrectly, Polka Dot Agate. Polka Dot Jasper has never been available in large quantities. Polka Dot Jasper takes a great polish. As with all of the other species in the quartz family, polishes best with cerium oxide, but also takes a fine polish with tin oxide and diamond. Mohs hardness 7. We also have ROUGH of this material.